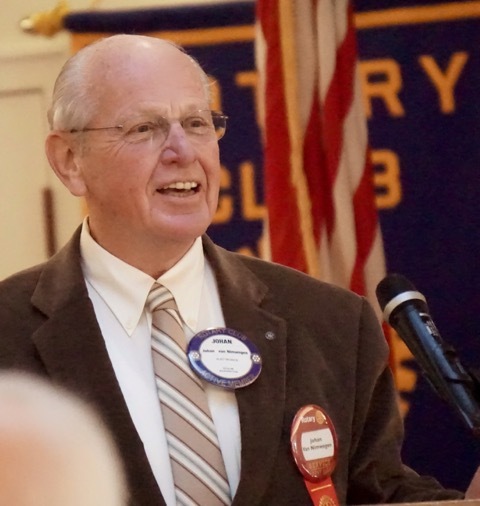 Please join us to hear Sequim Sunrise Rotarian Johan van Nimwegen speak about the OlyCAP Meals on Wheels program. This program provides nutritionally correct food to at-risk folks who are shut in. Johan will share how many volunteers are needed, time and type of jobs a volunteer might help with. Please arrive about 11:45 am if you'd like to order a meal. Thursday, April 4 at Baja Cantina in Sequim on the corner of Washington and Fifth Avenue. The meeting begins at noon and all are welcome. For those who wish to join us via the internet, please open the Go-To-Meeting app and join Sequim Rotary. This is free to all internet participants. You will be able to interact with all club members, those joining via the internet and the speaker.